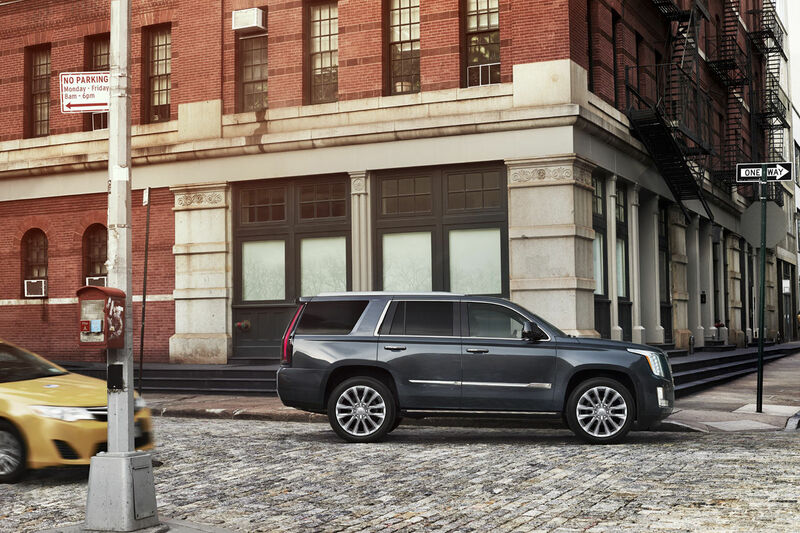 The exterior design of the Cadillac Escalade never goes unnoticed. As you walk toward this formidable SUV, you’ll instantly notice a striking grille framed perfectly with stunning headlamps. The available Platinum grille conveys chic design with a bold Galvano chrome finish. Touch the available Illuminating Door Handles and impressive style is met with a soft glow to help improve visibility. 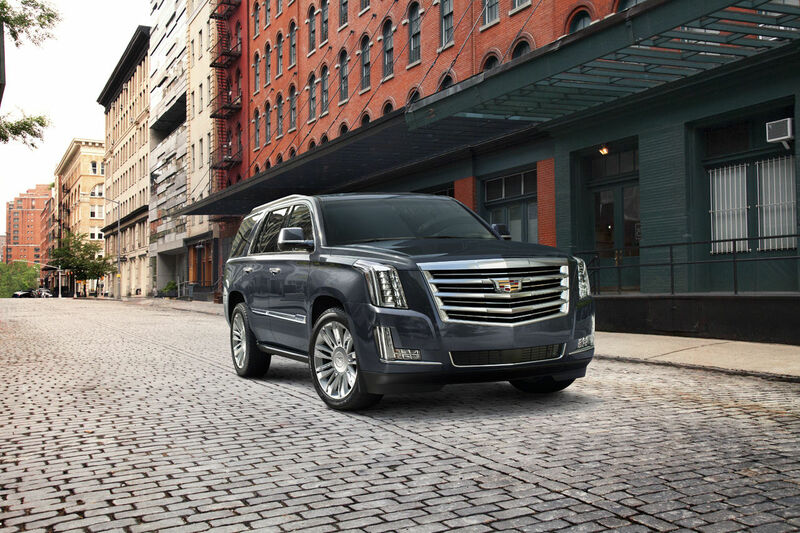 Walk around the Escalade and notice stunning available 22" premium painted wheels featuring chrome inserts that are sure to grab attention. These wheels are cast in a flow-forming process that saves weight, adds strength and looks striking. As you approach the rear of the vehicle, Light Blades slice through typical automotive design. Each innovatively engineered LED in both Light Blade taillamps delivers bright illumination along with a statement. What you won’t see is the Invisible Rear Wiper. It is concealed when not in use — protecting it from the elements, while preserving the vehicle’s clean design lines. The available Rear Camera Mirror can stream video through the rearview mirror. This less-obstructed view offers the driver more field of view than the conventional rearview mirror, but can revert to the standard view with just a toggle. You can clearly see the additional visibility and expanded view of what is directly behind the vehicle with the Rear Camera Mirror compared with the traditional rearview mirror.